"This is the first-generation, compact, light-weight mounting that was designed for utmost portability while maintaining extreme rigidity and excellent tracking accuracy. No shortcuts were taken to achieve these goals. From the highly accurate fine-pitch gearbox to the precision machine tool bearings, to the innovative worm wheel and clutch design, this mount represents a new approach to this vital part of the overall imaging train. 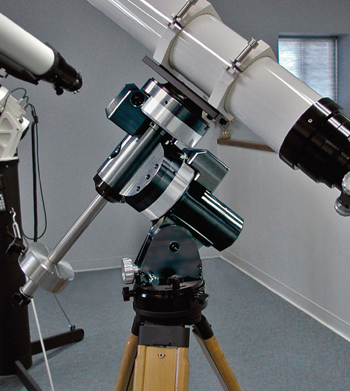 The advent of modern CCD cameras and telescopes with high resolution optics has placed greater demands on the ability of mountings to do their part to achieve precision tracking and guiding. At the same time, the mounting should be easy to use with adjustments and setups that are straight forward and accurate. 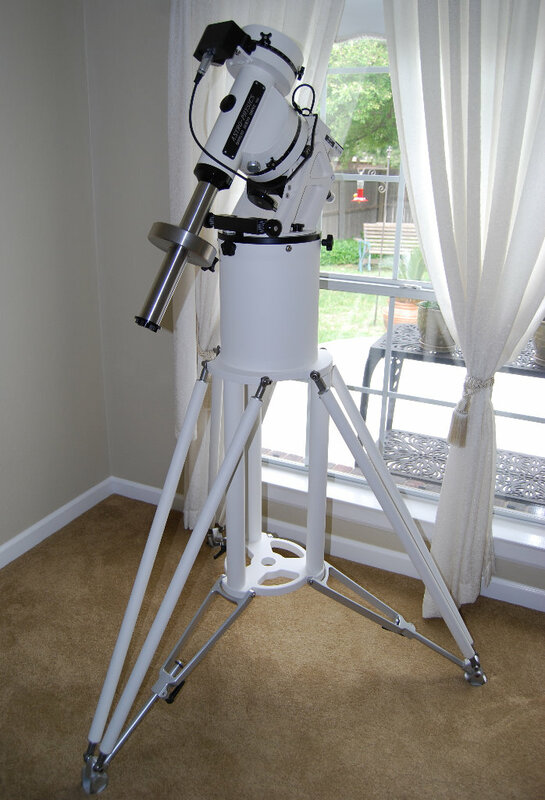 We have done everything possible to eliminate the frustrations and limitations inherent in a lesser mounting and so put the fun back into the hobby of amateur astronomy." In the early 1980's Astro-Physics introduced their first German Equatorial Mounts, the robust Models 704 and 800 series. Since then Astro-Physics mounts have been refined and their newer mounts came to represent the best high technology platforms in their class, this culminating with the release of the newest generations of their larger flagship mounts in 2005. Never standing still for long, the first new product announced for 2006 was the Mach1GTO. This is a mid sized transportable German Equatorial Mount that essentially replaces both the discontinued Models 400GTO and 600E GTO German Mounts. It's capacity is greater than that of the 600E GTO yet it is more capable, and it provides even better tracking and versatility. As we are Astro-Physics only full line retailer in the Americas, Company Seven maintains a production model on display in our showroom alongside all it larger cousins. 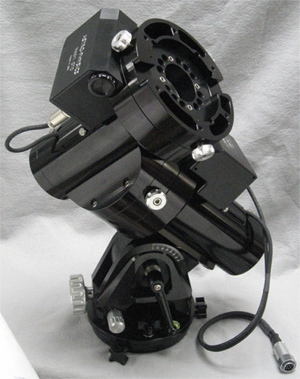 The Mach1GTO is presently shown with the Astro-Physics 140mm EDF f/7.5 Apo telescope, but amazingly enought the Mach1GTO mount has been designed to manage up to the Astro-Physics 140mm EDF f/7.5 Apo for visual and light duty imaging applications. Right: Astro-Physics Mach1GTO Mount prototype with optional wood field tripod and telescope. Provided CPU/Control Panel and Control Keypad not shown (135,590 bytes). The Astro-Physics factory team have benefitted from years of firsthand experience developing this technology, and from valuable insights gleaned by the feedback from many of the most successful astrophotographers in our community. These mounts are designed in house, manufactured on Astro-Physics own precision computer controlled milling machines, and finally hand assembled and tested entirely in house at the Mechesney Park, Illinois factory. This ready access to all aspects of manufacture have afforded the capacity to react quickly and comparatively economically to new technologies and ideas. Since the introduction of the first of their first Go To computer controlled mount in 1992 their platforms have repeatedly set new higher standards of excellence while retaining those characteristics essential to performing the more demanding feats in all manner of environments. These systems work well and look good not just in our showroom, but at your back yard or in remote sites from the Equator to the Poles. These platforms incorporate a 'bullet proof' user interface, and are capable of managing their anticipated payloads rigidly, reliably, and with tracking precision that facilitates the accomplishment of award-winning astrophotographs. The public recognizes the values of these products with waiting lists of candidates wanting to buy them that has at times been years long. These products are so well proved and regarded that the resale of used AP mounts often transpires at premiums beyond their retail price; maybe scalping is the sincerest form of flattery? The Mach1GTO was announced on 14 January 2005. This newest member of the Astro-Physics product family replaces the highly successful 600E GTO German Equatorial Mount which was discontinued in 2002. 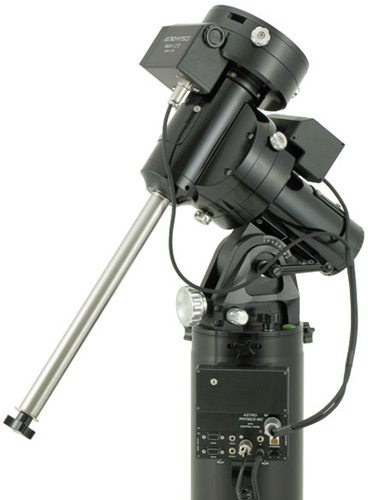 This mount head exceeds the 600E GTO in terms of payload capacity, tracking and pointing accuracy however, the Mach1GTO weighs-in closer to the smaller 400 GTO German Equatorial Mount. At first glance, the Mach1GTO resembles the scaled down front end (Decl. housing) of the 900 GTO GTO mated to the rear (R.A.) of a 400GTO however, the final appearance of production Mach1GTO mounts are likely to evolve somewhat from what is seen in this preview. reliability in all practical environments. Without these basic foundations all other features of a mount are merely superfluous frills. The Mach1GTO computer controlled German Equatorial mount is a compact, firm, precise tracking platform for your high resolution portable instrument. This handy mount head can be lifted easily into your backyard, packed conveniently into your car, or carried aboard an airliner for travel to another hemisphere. This mount is so sophisticated a system that it can be the platform of your remotely controlled (installed) observatory too. The Mac1GTO shares a number optional accessories offered for the 400 and 600 series mounts so it will be easy to quickly outfit your system to meet a variety of owner preferences and ambitions. 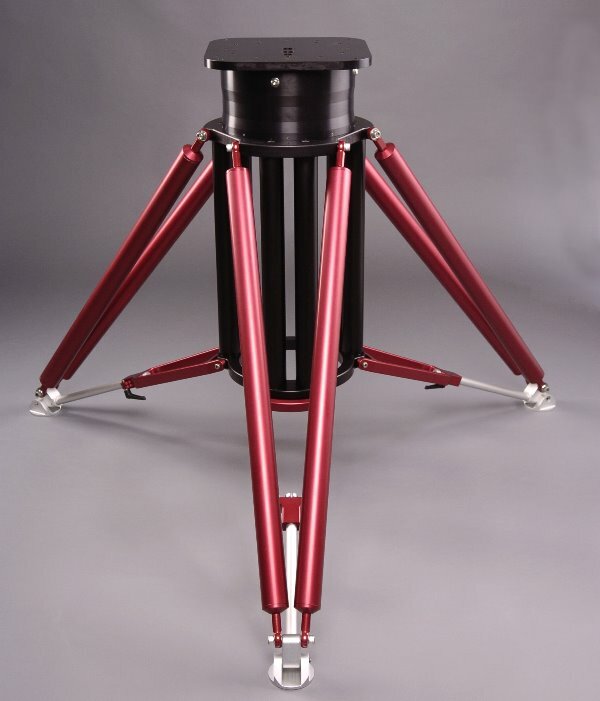 TIf you already own our previous 400 or 600E German Equatorial mount then you will be pleased to learn that their accessories can be used with the MACH1 GTO, including: counterweights, payload mounting hardware, polar alignment scope, piers and field tripods. Portable Enough for Airline Travel: transport this rigid observing platform to your dream destination. A rugged carry-on case will roll easily through airports or to your car. Sophisticated Enough for Remote Operation: the MACH1 GTO was designed from the ground up to take full advantage of the latest electronics. 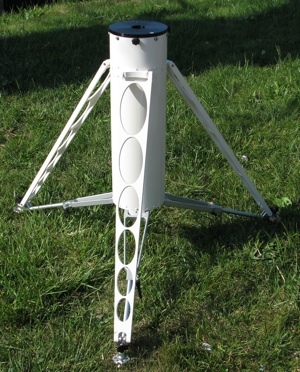 Your Mach1GTO mount can grow with your skills and interests in astronomy. 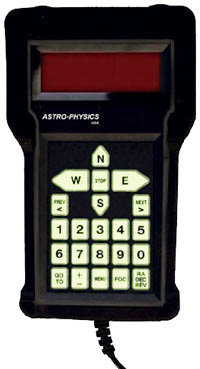 You can enjoy the visual pursuits of astronomy using the hand held "go-to" keypad controller, and/or third party control software (running on a common Apple Macintosh or PC computer) to direct the mount to many fascinating objects. If you plan to become engaged in astrophotography, then you will be pleased how this is facilitated with the solid stability and inherent accurate tracking capability of the drive system. 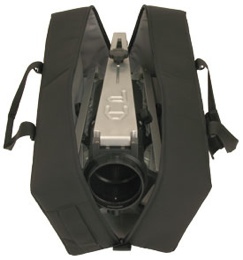 The GTO CPU Control Box contains a plug-in for use with the optional CCD auto-guiding and imaging systems such as those we offer developed by Santa Barbara Instruments Group; these CCD systems will permit you to automatically guide astronomical photos with film cameras, or explore CCD imaging. The Mach1GTO is constructed of the highest quality components to provide you with years of observing pleasure. All parts are precisely machined on Astro-Physics computerized CNC lathe and machining center using solid or thick wall aluminum and stainless steel stock. Machining tolerances are very high to achieve a tight, solid fit of all components. There are no thin wall, weak, porous die castings as in most other mounts of comparable size. Astro-Physics avoids the use of any carbon steel shafts or plated steel fasteners because they will deteriorate with time. This mount will not rust or bind up, and will retain its appearance and function throughout the years. The computer controlled GTO electronics are now made completely lead free - well ahead of any US standards! 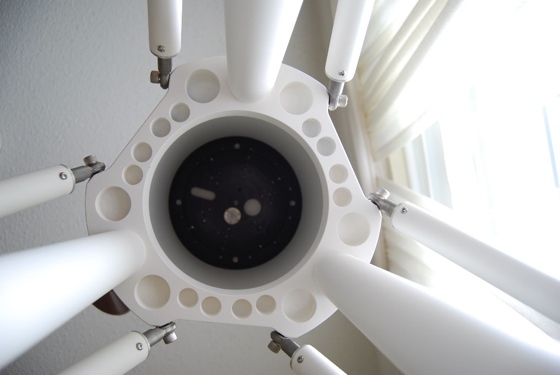 Each axis incorporate 2 inch diameter clearance ports along the center, with no shafts protruding into these openings in an arrangement so that power and signal wires from CCD cameras (and wires from other accessories) can be inserted from the bottom of the RA axis housing to emerge from the top of the Dec axis. There is no restriction of rotation with the wires inserted - one can rotate both axes more than 360 degrees without catching the wires on any parts. Right: Astro-Physics prototype Mach1GTO with optional CCD Camera showing signal and power cables run through the mount (38,178 bytes). The mount has been engineered to work seamlessly with the included Go-To Computer Control System. The furnished Keypad controller permits access and control of most desired functions, while the provided "PemPro" software is a terrific companion refining mount tracking and pointing positioning even further. The circuitry of the controller designs and the display have been proven over years of service, and all components are comprised of the highest-quality Military Spec. and Aircraft Grade components. Astro-Physics avoids short-sighted cost cutting techniques: there is no construction with flimsy, hygroscopic (water absorbing) circuit boards, no components are merely rated for indoor use, and there are no poor solder connections. Astro-Physics controllers will stand up to the humidity and temperature extremes common to many observing locations. Over the years, Astro-Physics mounts and drive control systems have functioned reliably whether at the Equator or in the coldest environments of Canada, Norway and remote northern Alaska. In fact some slightly modified Astro-Physics GTO mount systems are employed in the Antarctic operating at temperatures ≤ −70°F (−57°C)! Pound per pound the Mach1GTO is almost certainly the most refined German Mount in the world. With one of the most elegant and durable user interfaces available. A Go-to mount that even with its display can operate in environments beyond that which mere mortals will endure. Left: AP GTO System control Keypad LED fiber optic backlit panel display. Does not require a transformer as the prior EL backlit panel did so this keypad will operate even more quietly, this is generating minimal RFI (radio frequency interference) that could otherwise adversely affect CCD imaging systems or other sensitive detectors. These keypads have an updated circuit board with increased memory capacity than its predecessors, all the better to grow with for years to come. All keypads with serial number 1568 and higher have this backlit panel. The MACH1 GTO uses the same servo control box (Model GTOCP3) as its big brothers - the 900GTO and 1200GTO mounts. This cutting edge electronic marvel coupled with software like Ray Gralak's wonderful "PulseGuide" software (included) and your PC make remote operation a pleasure. PulseGuide allows you to accurately track asteroids, comets and the Moon, which move relative to the stars. While PEMPro (available as an option) is a very powerful program that allows the user to characterize the periodic error and to reduce it dramatically for long unguided exposures. It is especially useful for this mount since the average worm rotation error is already quite low, and the short term ripple error is almost nonexistent. The altitude adjustment of the RA axis allows the mount to be used at latitudes of from zero (the Equator) to about 70 degrees. That is from the top of Finland to the coast of the Antarctica. There is a scale on the side for approximate adjustment in the field, and the mount incorporates a bubble level in the base. The fine azimuth adjustment allows approximately − 12.5 degrees of travel. YA GOTTA LOVE IT: among the glowing reviews is that test report from the December, 2007 "Sky & Telescope" magazine entitled "Staying on Track" by Dennis di Cicco their Senior Editor, (from http://skyandtelescope.com/reprint/795. Dennis tested and reviewed Televue's TV-NP127is refractor, Apogee's Alta U9000 CCD camera and the Mach1GTO at the same time. "The mount just faded into the background as I worked with the scope and camera. Each night I'd turn it on; press a few buttons to slew to a bright star (usually before sunset), confirming that the mount was still synced with the sky; and go about my observing. Night after night the Go To pointing, sidereal tracking, and autoguiding remained virtually flawless. The fact that the mount proved so unobtrusive as I busied myself otherwise is, in my opinion, one of its greatest qualities - especially since its setup had been so easy." "If you're in the market for a quality, midsize German equatorial mount that's highly suited to portable and permanent installations, you should definitely consider the Mach1 GTO. I can't imagine anyone being disappointed with its performance. The nameplate says "Astro-Physics," and after months of using it, I know it's good." As a final testament to the Mach1GTO, Dennis decided that he did NOT want to give up the mount that he had borrowed for testing, so he purchased it himself! b) choice of mounting hardware to attach a telescope onto the mount. This is usually some Dovetail Quick Release plate. Please contact Company Seven for additional advice about what may suit you best. Note the phoning in the afternoon gives our customers the best chance at quick and easy access. POLE ALIGNMENT FINDER: Part No. PASILL4 is a very handy accessory that threads into the RA Axis of the mount. 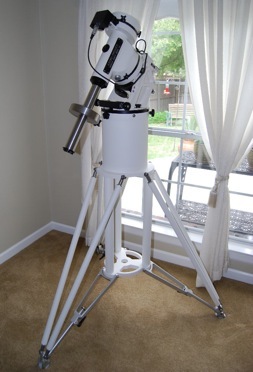 Company Seven recommends this for people who are operating the mount at several locations, since this dramatically speeds up the process of aligning the mount onto the Celestial Pole. The current model includes illuminated pole alignment reticle (updated for years from 2005 to 2030), battery, and this will include either a CABPAS3 or CABPAS4 cable (requirement determined by us) to plug into the Mount CPU Control Panel. COUNTERWEIGHTS: We recommend you order 2/3 the anticipated total payload (telescope, mounting plate, mounting rings, visual and/or photographic accessories) in counterweights. This can average out to be one counterweight (or multiples) that match the weight of the optical tube. So for example if you have a 4 inch aperture Apo refracting telescope tube assembly weighing 10 lbs. then we suggest a single 9 lb weight will probably manage it with the typical extra accessories. If using an Astro-Physics 13cm EDF (typical OTA weight16 lbs), then we suggest one 9 and one 6 lb weight. 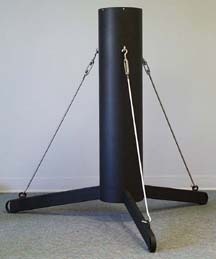 The provided Counterweight Shaft is 1.125" diameter X 14.5" long, 4.1 lbs. (29mm X 368mm, 1.9kg) This shaft uses the same 6 lb. and 9 lb. counterweights that were used with the older Model 400, 600 and 800 series mounts. For those customers who already own, or plan to buy either of the larger AP 900GTO or 1200GTO mounts, then we recommend you consider the optional Counterweight Shaft (M1053-A). It is 1.875" diameter X 10.70 " long, 7.7 lbs. (48mm X 273mm, 3.5kg). This shaft is the same diameter as the shaft for the 900 and 1200 mounts and uses the same counterweights as well as a smaller 5 lb. counterweight produced especially for the Mach1GTO. Longer shaft sizes and an optional extension are available too. This is an accessory that must be purchased separately, and is not available as a substitution/upgrade. Requires Safety Stop (M12676). 5SCWT 5 lb. Stainless Steel Counterweight for 1.875" Shaft - for 900 and 1200 Mounts (and Mach1GTO with optional shaft). 6SLCWT 6 lb. Stainless Steel Counterweight for 1.125" Shaft - for 400, 600E, 800, and Mach1 Mounts. 9SLCWT 9 lb. Stainless Steel Counterweight for 1.125" shaft - for 400, 600E, 800, and Mach1 Mounts. In this case we would suggest either the Astro-Physics Dovetail Plate and Slide bar system, or our 8.5 inch long Losmandy "D" Plate Adapter (Part. No. DOVELM2), with a pair of Mounting Blocks and "D" Series Plate. 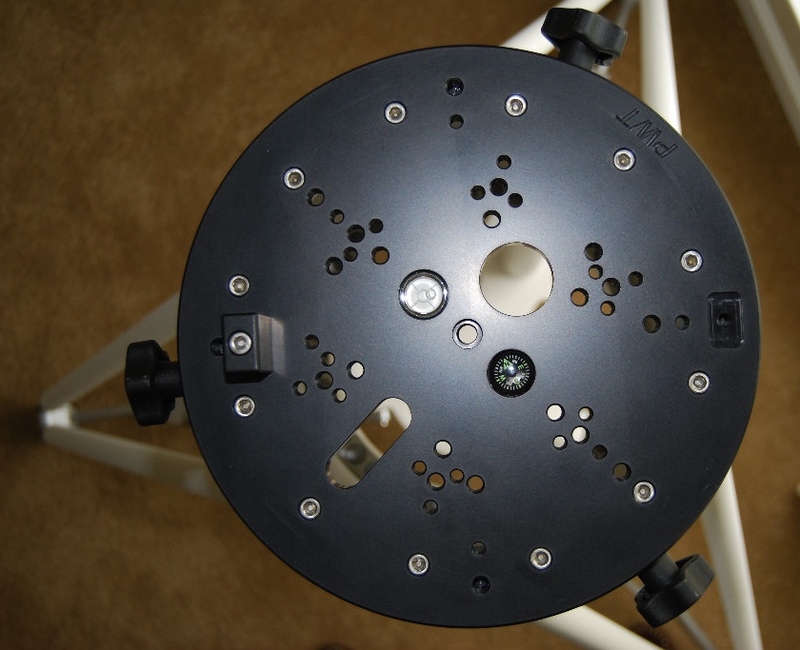 The DOVELM2 is attached to the mount head, the "D" Plate is bolted onto the telescope optical tube assembly: on a Catadioptric this is generally at the front and rear cell mounting holes, other telescopes may employ mounting rings attached to the plate. The advantage of the Quick Release hardware includes: the Mount Head can then accept any accessory that has attached to it a Losmandy standard "D" series plate. This provides quick and simple changing of optical tube position (and balance), or easy removal of the OTA and installation of another system in it's place, all with out the need for any tools. The disadvantage is that this does not permit rotation of the telescope as the "D" plate is attached "in line" with the telescope optical axis. Another "D" plate or Astro-Physics Slide Bar can be installed along the top of the OTA to accept "piggyback" or guide telescopes. 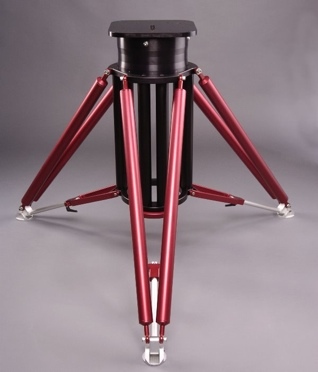 ADUSTABLE HEIGHT FIELD TRIPOD: The economical Astro-Physics Portable Pier and Wood Field Tripod continues to be the two most popular choice of platforms for the Mach1GTO/400 GTO/600E GTO heads. The tripod is adjustable in height, dampens vibrations well, and is aesthetically appealing to most. 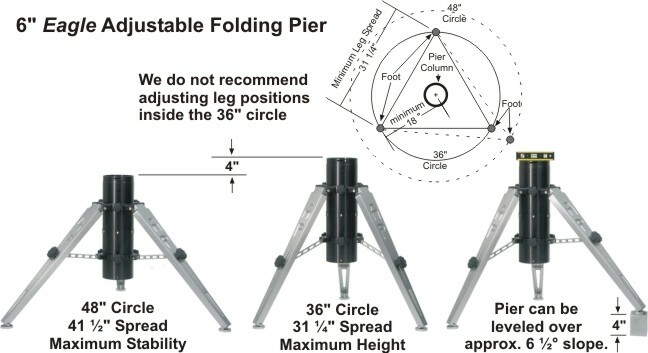 We also offer the Eagle Pier, a fully machined, high-tech portable tripod pier made entirely at the Astro-Physics factory. 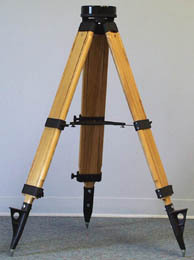 TRIPOD OR PIER HEIGHT SELECTION NOTES: in our showroom (latitude about 38 degrees) one can add 17-½ inches to the pier height to determine what will be the total height to the center of the mount head saddle when the head is in a Pole Alignment position (Declination at 90 degrees, R.A. axis with mount plate at its highest position). Consider the length of the telescope optical tube and its' likely balance point, the height of the observers, the need (if any) to reach objects low in the sky as well as at Zenith. Consider that you may wish to select a shorter option if you want to be able to easily get to a photo guide scope, or taller if you prefer to observe straight through. For your convenience we provide the illustrated Latitude Dimension Calculator, a spreadsheet in Microsoft Excel format so that you may better determine what height of tripod or pier will work best for you with our Astro-Physics mount. Of course feel free to contact Company Seven for advice about this too. a. Portable rechargeable battery 12 volt D.C. battery pack. We offer packs of 18 amp hour and larger capacity. Please inquire for current models and pricing. b. An installed 12 volt D.C. battery bank that is kept on trickle charge. Some observatories have make a vented small room, or vented "cubby" area to keep the batteries. Should have room for four or so car-sized deep cycle batteries, and trickle charger. Then run 12 volt DC to the mount/pier through a power disconnect switch. You may refer to marine wiring USCG regulations for the best guidelines on this. c. A regulated 12 to 15 volt power supply into an AC outlet in the observatory dome. Make this a switched outlet so that when the observatory is not used a power surge can not work its way to the electronics. Make certain all AC power in the observatory (if not in entire facility) is on GFCI. We offer several Regulated Power Supply from Astro-Physics, this is a perfect choice for use with an Observatory setting or where portability is not crucial. • PS138V5A 13.8v 5 amp Regulated Power Supply with Cigarette Adapter, for 110-120V input. • PS15V10AC 15 Volt DC - 10 Amp Regulated Power Supply with Cigarette Lighter Plug Adapter Cord - for 110 to 120 Volt, 60 Hz AC input. Circuits to the telescope pier, and other circuits that may power sensitive CCD Imaging Cameras should each be on isolated circuits, GFCI, ideally filtered, and absolutely with power disconnects. One can not rely on surge suppression alone to protect sensitive circuitry from nearby lightning strikes. Provide a nearby lightning rod to ground - locate it nearby but in a direction where it is least likely to impede observing. Some people have made a hinged or removable rod to get it out of the way when observing. ATA CASES: Company Seven does provide "Airline Transport Association Approved" transport and shipping cases. We historically made these cases only for government and industrial clients, and on occasion we design a case for customers who patronize Company Seven. 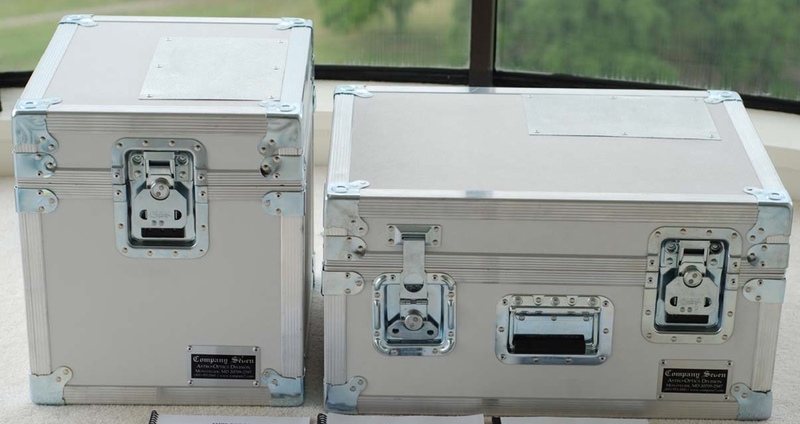 In response to increasing interest from consumers who wish to protect their more valued products, we have put a brief overview of these cases at Company Seven ATA Cases, this page includes images of several custom made cases including one for a Astro-Physics 13cm EDT telescope. You can see one of the two cases described as an accessory for our Astro-Physics Model 900GTO. And of course you may see examples of these cases first hand in our Laurel, MD showroom. Company Seven has completed numerous proprietary designs for ATA cases for telescope optical tube assemblies, and for mounts. We are not aware of any instance where the contents of our cases were damaged in transit, and there is some measure of convenience added by the organizational qualities of these cases. These cases incorporate design features to protect the contents from accidental intrusion, and will prevent the items contents within from becoming a projectile. This is is achieved by clever engineering of the case shell, and interior foam (of varying densities as appropriate) linings, hand fitted velour interiors (to prevent abrasion of the contents and work with the softer density foams to retain the contents), corrosion and weather resistant components including spring loaded handles at convenient locations, tamper resistant valence spanning latches, and combination lock(s), weather tight sealed seams and gasketed lids. These cases incorporate features designed to expedite shipping by Federal Express, UPS, and other common carriers. Case Exterior - White. This helps to keep contents cool. We do offer this heavy duty vinyl covering in most other common colors, and we also offer optional aluminum exterior cladding. Case Interior - Red. We offer the interior velour in either Red, Blue, or Black. I find the dark components stand out better in red lights against the Red velour. Combination Lock - tamper resistant, is set to a number we will provide to you. You may change it to any other 3 digit number. 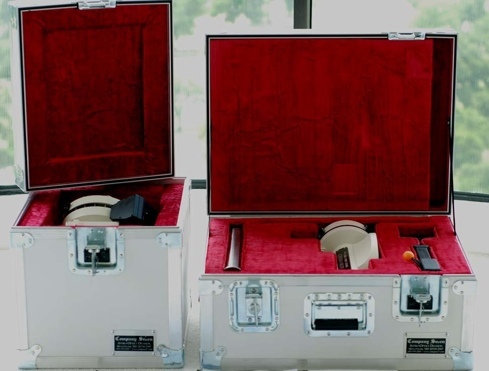 Also note, the cases designed with a removable lid will incorporate two combination locks (set alike) instead of one. Aluminum metal plate on case exterior to attach UPS or FedEx Airbill. Other options include: Military Spec. Construction with corrosion resistant hardware, retracting handle with rolling wheel at the base (similar arrangement to typical carry on rolling luggage), stencil with information of your choice on case exterior (name, address, etc.). The lead time for production and delivery of a case depends on what modifications if any are made to our existing designs in order to accommodate customer requirements. But once the design is finalized then we generally require three weeks or so to manufacture the case. 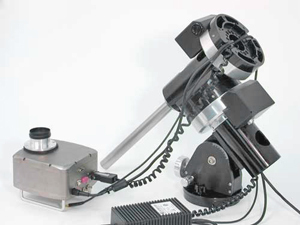 The drive system employs a high-quality DC servo motor controlled by a microprocessor. The tracking is very smooth, noticeably better than any production stepper motor drive. The system can be accurately controlled over a wide speed range of 4800:1 (0.25x sidereal for guiding to 1200x sidereal for 5 degree per second slewing). The servo drive will satisfy the requirements of the sophisticated, advanced astrophotographer, yet is easy for the casual, visual observer to use. Please refer to the separate section entitled "GTO Control System" section of our Internet Site for more details about this revolutionary development. * Specifications and features are subject to change. Please contact Company Seven for additional information or ordering advice.